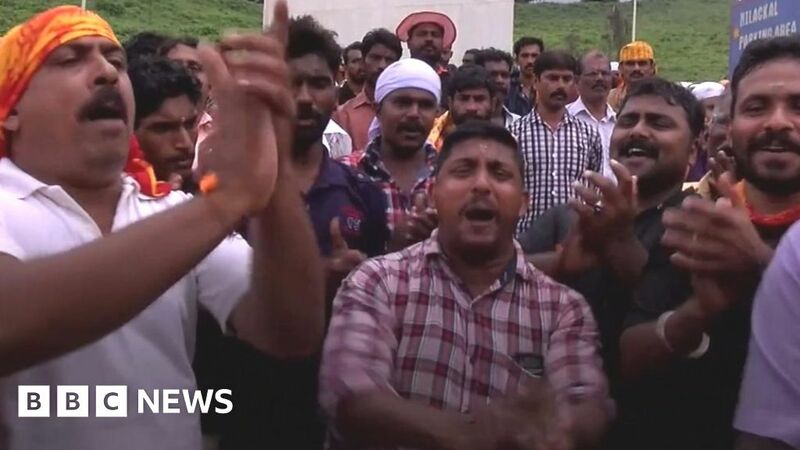 Angry crowds have prevented women from entering one of Hinduism’s holiest temples. The Supreme Court previously ruled against the Sabarimala temple in Kerala, India, which stopped women of “menstruating age” from attending. Most Hindu temples allow women to enter as long as they are not menstruating. Angry devotees forced women to turn back, and pelted journalists’ cars with stones and bottles. The BBC’s James Clayton was there.